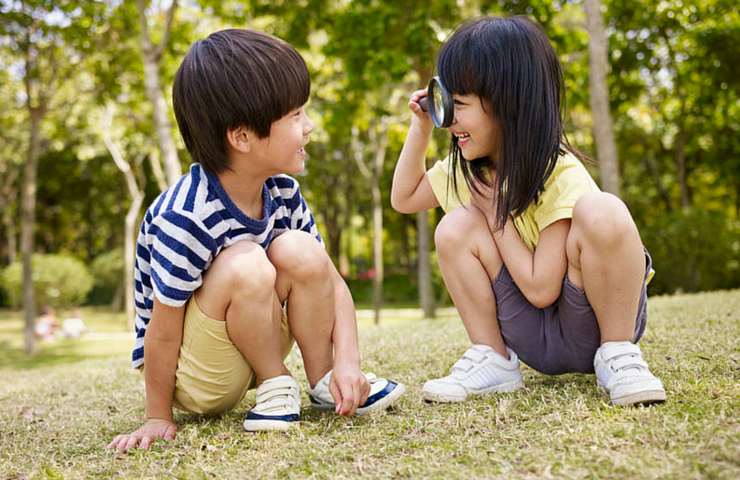 If you’re the parent of an active little girl, you want them to be active but you don’t want them to imitate big girls, at least when it comes to clothing choices. Yet you’re hard-pressed to find shorts for young girls that have an inseam longer than 1.5 inches. To help you keep your daughters from growing up too fast, choose spring and summer playtime clothes that let her do cartwheels, climb trees and jump off walls without showing too much. This Nanette Little Girls two-piece fashion top and shorts set is all feminine fun and cool enough to beat the heat. Nanette Little Girls’ 2-Pc. Top & Shortall Set won’t slip yet is easy to get on and off. And the decorations are beyond cute. Carter’s Poplin Shorts in assorted colors are breathable, light and perfect to pop on for a romp in the playground. 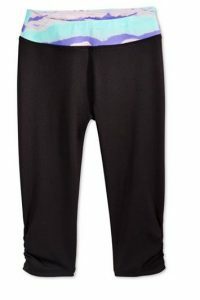 Layer 8 Little Girls’ Printed-Waistband Capri Leggings give your little athlete breathable fabric and more modest length. 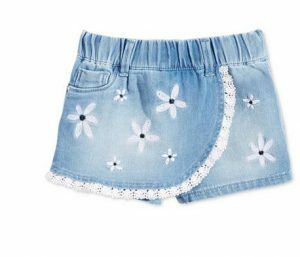 For older girls, sizes 7-16, you’ll find lots of age-appropriate activewear choices including these comfortable Imperial Star Girls’ Acid-Wash Denim Bermuda Shorts. For a touch of femininity, dress her in this GUESS Little Girls’ Floral-Embroidered Denim Skort. It combines active-friendly durability and sweet details like flower embroidery. Choose the kind of activewear that lets her have rough and tumble fun without being too revealing. It’ll make for a stress-free, fashion-friendly summer.